GPT respects your right to privacy, and we are committed to complying with the applicable data protection rules and to safeguard your personal data. We want to make sure that you are aware of what types of information we collect or obtain from you via the website or during your communication or interaction with us, how this information is used and how we work to protect it. GPT is referred to as the data controller responsible for processing your personal data in accordance with applicable data protection legislation. Personal Data (e.g. your name, employer) about you is only collected and processed when you actively choose to enter such information in a form on our website, or participate in a seminar, leave information at a trade show etc. GPT further collects information that is necessary for us to be able to contact you in your role as a representative of a company. GPT collects and processes information about you if you represent a company that is a customer, supplier, contractor or otherwise partner of ours, as well as a potential customer, supplier, contractor or otherwise partner of ours. The information that we collect and process in such cases include contact information (such as name, address, email address and telephone number). GPT also collects Personal Data in connection with recruiting of staff. When you contact us for the purposes of applying for a job opportunity with us, we collect such Personal Data that you provide us with as part of the application process. Personal Data normally included in a job application is contact information (name, address, email address and telephone number), CV (including previous work experience and education), personal references and occasionally picture and personal registration number. Cookies are small text files that are placed on a computer by a website and are widely used to make websites work, or work more efficiently, as well as to provide information to the owners of the site. Cookies from this site can be deleted or blocked, but parts of the site will not work. None of the cookies used on our website gather personal information or information about any other website. Most web browsers allow some control of most cookies through the browser settings. To find out more, refer to your browser. Specific details for each cookie and its purpose are given below. Cookie status. Cookie name: sessiona- This cookie is placed on your system when you click the cookie information text. If removed, the cookie information text will appear at every visit to the web site. The legal basis for processing Personal Data such as technical data when you browse the GPT website is that the processing is necessary for the purposes of the legitimate interests of GPT. The legitimate interests of GPT may also constitute the legal basis for processing in situations where you provide us with your contact information by handing us a business card or otherwise have expressed an interest in our products or services. Furthermore, the legitimate interests of GPT is the legal basis for when GPT is processing your personal data when you are a representative for a customer, supplier, contractor or otherwise partner of ours. Additionally, the legitimate interests of GPT is the legal basis for processing of your Personal Data by GPT in connection with your job application. GPT may process your Personal Data for the purposes of complying with safety standards and other statutory requirements, based on the legal grounds that this is necessary for compliance with a legal obligation to which GPT is subject. The Personal Data will be deleted if the purpose of collection and use of Personal Data has been achieved. Personal Data received in connection with a job application for an applicant that is not hired will be stored for no longer than one year after the date of the application. GPT will not sell, trade or lease your Personal Data to third parties. However, GPT may share Personal Data with our trusted subcontractors and co-operation partners in order to provide you with our services. They may need access to your Personal Data in their assignment for us, but they will not be allowed to use the Personal Data for any other purpose. Unless otherwise set forth in any specific information regarding our processing of your Personal Data, GPT will not transfer your Personal Data to any country outside the EU/EEA. GPT is part of an international group of companies, some of which are based outside of the EU/EEA. Personal Data may be transferred to other group companies. Such group companies are based in the US and in Japan. GPT has secured the safety of transferred Personal Data by having entered into the EU-commission’s Standard Contractual Clauses for the transfer of personal data to companies established in third countries with such non-EU/EEA companies. Personal Data may be disclosed by GPT to comply with legal requirements or other requirements from official authorities, in order to safeguard the legal interests of GPT or to detect, prevent, or draw attention to frauds or other safety or technical problems. We protect your Personal Data using commercially reasonable safeguards to prevent loss, misuse, unauthorized access, disclosure, alteration, and destruction. These measures may include data encryption, firewalls, and automatic timeouts. Therefore, you can rest assured that your Personal Data is in safe hands. You are always entitled to access your Personal Data for viewing, and to request that we correct or update your Personal Data. Under certain circumstances (expressed in applicable data protection legislation), you may request that GPT restricts the use of your Personal Data or delete your Personal Data. If you have provided us with Personal Data, you also have the right to have your Personal Data resubmitted to you, in a structured and accessible format, for transfer to another user/processor. Should you be dissatisfied with our processing of your Personal Data, please let us know, and we will do our best to address your comments. Your integrity is very important to us, and we always strive to protect and secure your Personal Data in the best possible way. Should we nevertheless, in your opinion, fail in this ambition, please note that you are also entitled to lodge a complaint with the Swedish Data Protection Authority (Sw. Datainspektionen, which will be changing their name to Integritetsskyddsmyndigheten in 2018), or such other authority as may be determined in the future. 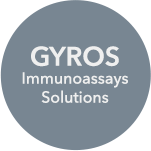 You can contact us at: Gyros Protein Technologies AB, Dag Hammarskjölds Väg 54 B, SE-752 37 Uppsala, or at our email: information@gyrosproteintech.com.